Maybe you’ve heard that while exhibiting Moodo at CES last week, we’ve officially announced the shuffle feature in the Moodo app. 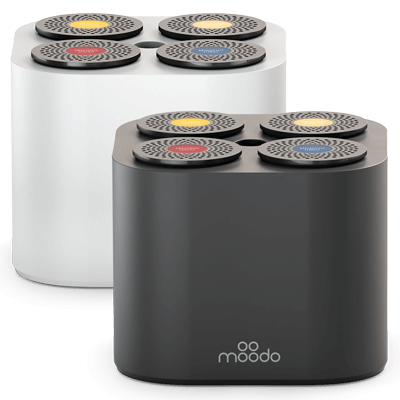 You are probably already aware that when you turn the “shuffle” feature on, your Moodo will automatically switch between the different pre-sets of the scent family every couple of minutes. This helps you overcome the habituation effect that makes you “nose blind” to the scent after some minutes, so you’ll enjoy your Moodo scents all the time!